I wasn’t going to blog this at all; however, I have been reminded countless times in the last week about it so here it is. My “it” is my past issues with food and exercise. Years ago, I starved myself trying to lose weight, unhappy with how I looked and felt. Then, food became a guilty pleasure for me coinciding with over exercising as punishment. I overcame all of it somewhere around 3 or 4 years ago and haven’t looked back since… until a few weeks ago. Psalm 18 was a chapter I recently read in a devotion I am working through. As I read it, my gosh, how I felt like it was reading my mail on what had just happen to me. On a Sunday afternoon, I enjoyed some Dairy Queen with my hubby. As soon as I ate it, I felt guilty. I even joked to him that “I feel so guilty for eating that, I’m going to run the treadmill. Maybe I’ll feel better (meaning physically because dairy upsets my stomach).” Evening came and I still didn’t feel “happy” about “enjoying” ice cream. Monday rolled around and it was like someone had taken over my body and mind. I woke up almost flipping out about how my body felt. I had errands to run but as soon as I returned I put myself on the treadmill for an hour. I battled with myself feeling guilty and feeling like I had to work off those calories and I couldn’t eat anything else that day because what I had eaten probably caused me to gain 5 pounds. Now, you are probably laughing, (and I can now) but in the moment it was as serious as it could get. I was arguing with myself because I knew what I was feeling was wrong – but I couldn’t control it. It was as if someone else was in my mind. I ended up calling my sister and breaking down in tears about what I had done. She and I prayed together and the Holy Spirit brought me immediate peace! The weight was lifted and I immediately did not feel those feelings anymore. My heart was convicted enough to seek out help. I cried out and God heard! He fought for me. He really did scatter the enemy. Our minds are a battlefield (as Joyce Meyer titles it). Scripture says very plainly to guard our mind and keep it renewed. Here is a small devotion by Joyce Meyer on the mind. Not one time since this experience, I have had feelings like that again. Every once in a while, the enemy will try to sneak in on things you feel strong in. Maintain this strength by renewing your mind. Meditate on God all day long, however that works for you. Listening to music, podcasts, looking at a sticky note with a scripture verse on your computer at work, whatever it takes. 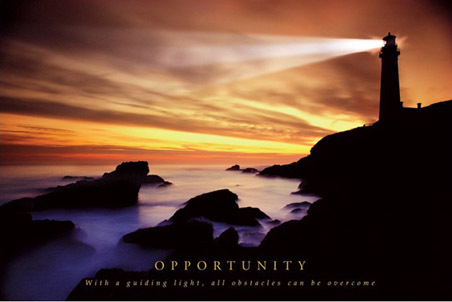 The minute you open up a fraction of an opportunity – it’s on to battle you go. We aren’t perfect so more than likely we all experience this every once in a while. Be aware of the situation and don’t be afraid to call someone. Strength is always greater in numbers – not to mention, “where two or three gather in my name, there I am with them” (Matthew 18:20 NIV). 🙂 Praise Him every chance you can because you probably don’t realize just how much HE is protecting and sheltering you from. Our pasts do not have to haunt us. You have the power to eliminate any battle you feel you are facing. You just have to know who to call on!